A multi-scale, moving-window method for local thresholding based on Robust Automatic Threshold Selection (RATS) is developed. Using a model for the noise response of the optimal edge detector in this context, the reliability of thresholds computed at different scales is determined. The threshold computed at the smallest scale at which the reliability is sufficient is used. 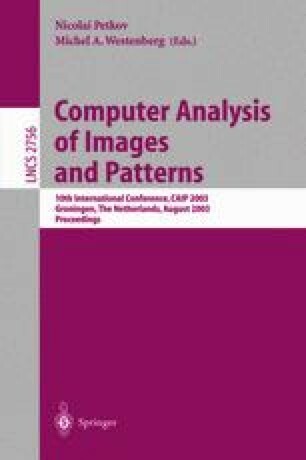 The performance on 2-D images is evaluated on synthetic an natural images in the presence of varying background and noise. Results show the method deals better with these problems than earlier versions of RATS at most noise levels.